This article previously featured in The Tribune Weekend section of April 21. 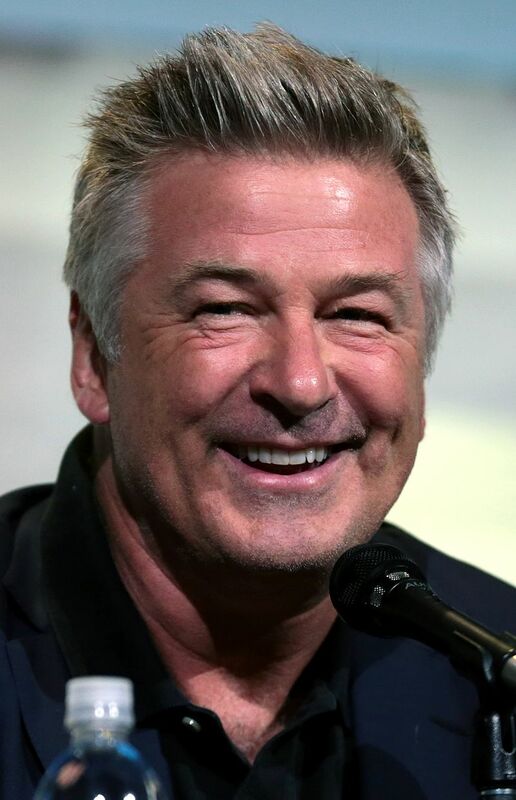 ALEC Baldwin has taken centre stage lately thanks to his performances as Donald Trump on Saturday Night Live – but did you know he also has his own podcast? He kicks us off this week. If I ask you to tell me your first impressions of Alec Baldwin, it might be a world away from how you’ll find him on this podcast. Celebrity, actor, comedian... he’s all of these, but in this podcast you’ll also find him shining the spotlight rather than standing under it. He hosts this show which features him interviewing all manner of guests – from actors to musicians, from celebrities to politicians, seemingly whoever takes his fancy in any given week. The latest show sees him chatting to Mark Farner, former frontman of the rock band Great Funk Railroad once upon a day and in later years a solo artist. The chats are amiable and Baldwin clearly knows his stuff, with asides mentioning landmark moments in Farner’s career. It also takes on intriguing subjects, such as Farner’s Christianity, which came to feature in his music as his career progressed, and touching on Baldwin’s own Catholicism – he says he’s a churchgoer, but a more regular churchgoer when things go wrong in life. They also talk about health issues, including Farner’s own two close brushes with death which he describes as leaving the meat sack. The show might last three-quarters of an hour, but it absolutely flies by in the company of such a genial host and great guest. Also mixing celebrities and chat is The Dinner Party Download, with hosts Rico Gagliano and Brendan Francis Newnam roaming around several guest spots and more. That can include quirky facts – the latest show tells us how we’re all using salt wrong – and contests involving listeners. Among the guests in the latest show are musician Aimee Mann and actor Hank Azaria (who you may know from his show Brockmire, but is also a voice from The Simpsons and much more). The interviews tend to be less formal, more shooting the breeze, with Azaria fun as he puts on all kind of voices during the talk and Aimee Mann relaxed and honest as she talks about copycat tattoos and how weird it is when you hear your own song playing somewhere or, worse, someone humming it nearby. It’s probably a measure of how these segments go that they leave you wanting more. As they wrapped up the two interviews above, I was urging them to stay just a little longer. Splendidly produced, it’s well worth a lunchtime listen. RuPaul is, of course, a legend, and this is the famed drag star’s podcast, with air time shared with Michelle Visage, who fans of RuPaul’s Drag Race will be familiar with as a host. The latest show also sees Glee star Naya Rivera as a guest but you’ll be waiting a long time before you get to her appearance. It’s almost an hour of chat with just RuPaul and Visage before we get there – and sadly, that’s not a great thing. RuPaul is a smashing host, but Visage seemed to be endlessly complaining, while busily flashing all kinds of celebrity privilege. Her complaints ranged from the quality of computers being given to kids at the school her children attend to the trials and tribulations she had to endure in Celebrity Big Brother. We hear how she constantly loses her phone and her favourite social media apps. Those with younger ears around are also advised that it’s filled liberally with swearing. It feels like a lengthy gossip session over coffee, which might suit what you’re looking for, but for me it grated – and the interview at the end felt rather shallow, not really digging much into Rivera’s career and life. If it was dialled back more to RuPaul’s level – who shows genuine interest in the others on the show and asks engaging questions – it would be a whole lot better. But who knew that you’d be thinking that RuPaul would be the one playing it down?